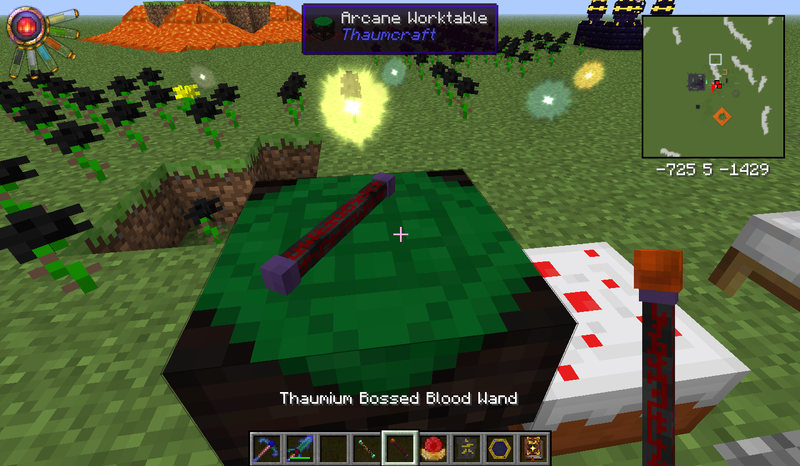 This is a small Thaumcraft 4 addon I've been working on to add a little "darkness" to Thaumcraft. 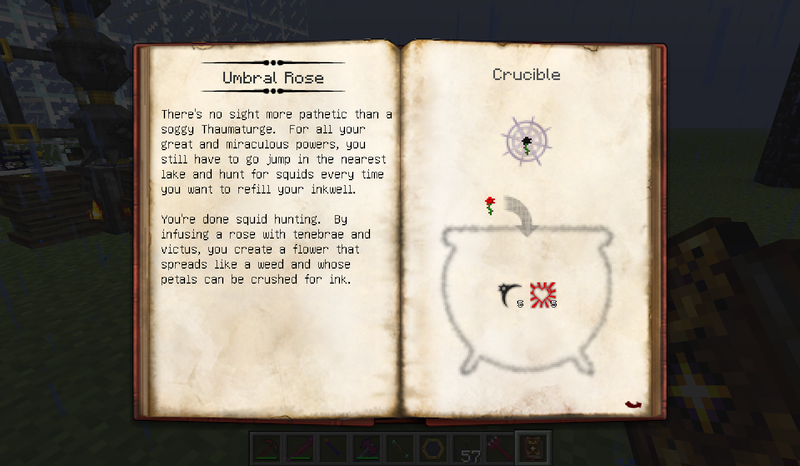 Install Forge and Thaumcraft 4, and then drop this mod's .jar file into your mods folder. I like modpacks. A lot. Like, I can't even remember the last time I played a single mod by itself. 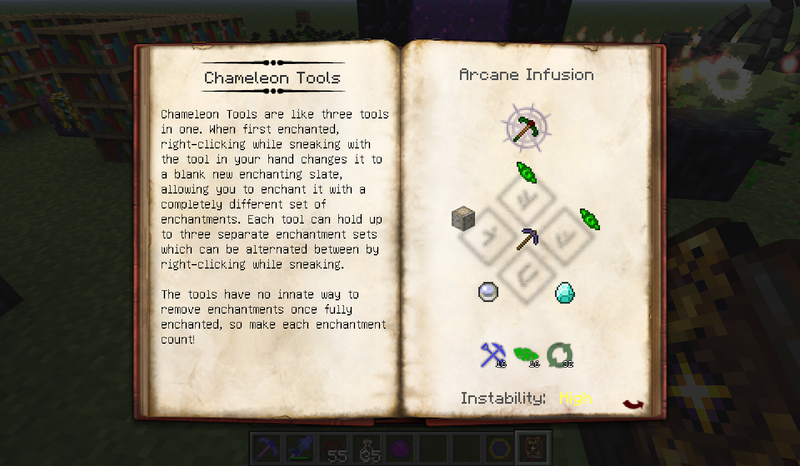 I grant blanket permission to use my mod in any modpack, but reserve the right to change my mind. 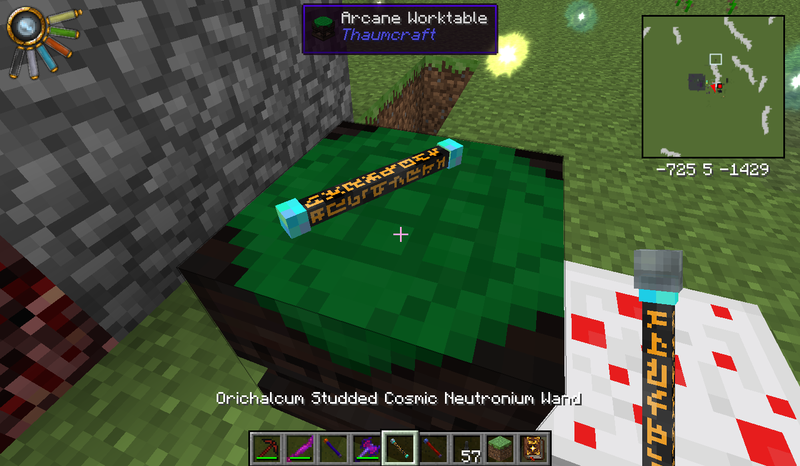 Keep in mind that my mod requires Thaumcraft to run and I do not have the authority to grant permission for that. Q: Will you update to (newer Minecraft version) ?